Welcome! I took a week off, but I’m back to share a card I created for the Colour Me challenge. The challenge this week is to create a project using purple. To get my mojo flowing, I created a super easy and quick card. The touches of gold add a nice bit of pizzazz and glam. 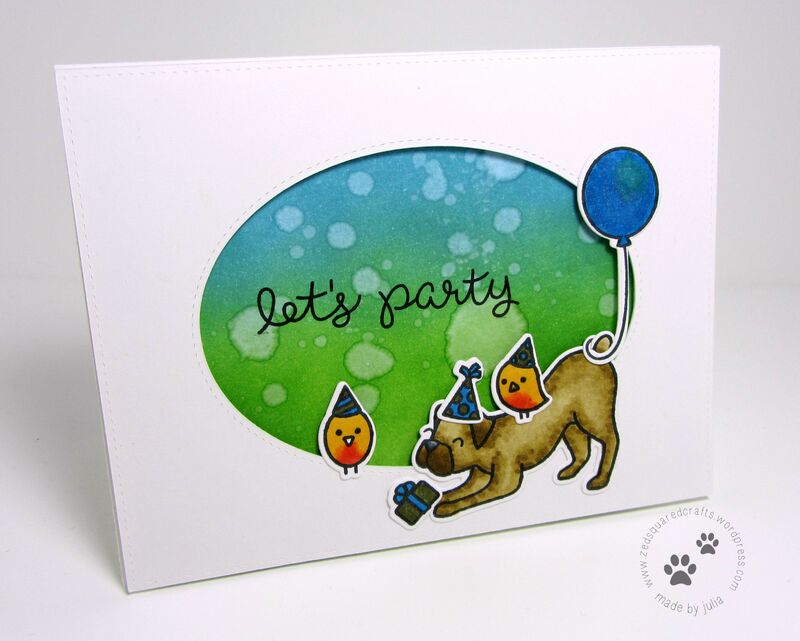 I used a fuchsia version of this card for a nine year old girl’s birthday last weekend and it was a hit! As usual, I’ve created a YouTube tutorial to show you how I made this card. You can watch it below, or on YouTube. Welcome! It’s already time for another Colour Me! challenge. Before I jump in to the challenge, I just want to thank everyone for your lovely comments, e-mails, and support. As it is for most of us, crafting is my passion so when I hear from viewers and readers, it just means the world to me. To all of you, I want to extend a very warm and sincere THANK YOU! Ok, so moving on, this week the Colour Me! challenge is to create a project using baby blue, green, and pink. I created an *almost* one-layer card. As usual, there’s a video to show you how I created my card. You can watch it below, or on YouTube. This card was really easy to create. I think it would be fun to replicate and make a set of similar cards with matching envelopes to give as a gift.